In my last post, I told you about all the fun squares/book choices of the Seattle Summer Book Bingo. One of those squares said to get a recommendation from an independent bookseller, so I headed over to A Good Book in Sumner, WA to see what they could recommend. When I mentioned to the dark-haired, bespectacled young man behind the counter what I was up to, he motioned toward the woman behind him who was the proprietor of the establishment, Evelyn Nicholas. They were both quick to point out the books that were next to the cash register. The first book they showed me was A Darker Shade of Magic: A Novel (Shades of Magic) by V. E. Schwab. This is the book selection for their June Campfire Bookclub. You are welcome to join in a discussion of the book around a campfire with a drink and marshmallows on June 28th from 7-9pm. The book is part of a trilogy and Evelyn told me that her customers who read the first book rush back in for the second, A Gathering of Shadows: A Novel (Shades of Magic). The third book in the series is A Conjuring of Light: A Novel (Shades of Magic). Though this sounded interesting, and the bookclub sounds fun, I was curious to see what else they would recommend. The second book near the register that they recommended was a 2014 re-release of the 1975 novel by Michael Crichton. I had heard of the film and didn’t know it was based on a Michael Crichton book. I have read most of his books and found this tempting, but it wasn’t exactly what I was hoping for. Evelyn said, “and we also have used books,” and took me into the other half of the shop. This reminded me that I had read on their website that they buy used books, so I asked her about their buy-back policy. Turns out they do a one-to-one exchange, meaning for every book you bring in, you get a discount on a purchase. I’ll definitely be taking her up on that, next time I visit. Since I recently enjoyed Pest Control and The Exterminators (Assassin Bug Thrillers) by Bill Fitzhugh and I’ve enjoyed every book by Carl Hiaasen, I asked her if she had any recommendations in that vein. Evelyn said, “You like funny,” and took me to another section of the shop. She told me about a couple of books then grabbed Hidden Palms: A Butch Bliss Novel by Harry Bryant. The plot, as she described it, sounded like something Mr. Hiaasen might have conjured and I really liked the cover. Then she directed me over to another area of the store while she explained that Harry Bryant is a new nom de plume of an author that works at the store. I was pretty sure I knew who she was speaking of because I had met him and as I looked over what she called his “darker titles” I saw I was right. Harry Bryant is the “more light-hearted and funny” persona of Mark Teppo who I met at an authors’ talk at the Sumner library and again when I went to a NaNoWriMo write-in at this bookstore. I haven’t read any of his books yet, so this was a perfect recommendation. SOLD. row, though I was given a choice, so I recommend reading through and seeing where it will be most advantageous for you to fill a row. Read a media tie-in – Okay, this isn’t a call to action. Turns out it’s a genre. The call to action is, I had to look this up. I thought it would be reading articles or essays about books, but it’s not. It’s a genre all its own and, actually, will help me out with my “Genre that is new to you” square on my Seattle Summer Book Bingo card. Media tie-ins are books made from TV or movies. Things like Star Wars and Star Trek books. I really enjoyed the TV shows Monk and Castle, so I will probably read one of the books made as extensions of those series. Attend an event – I’m not sure, but I would think that attending the Fireside Bookclub would get stamps for an event and a book discussion. Another event at A Good Book that I think sounds interesting is A Good Talk Salon where local people give talks on subjects other than their profession. The only problem being I would have to sign up to give a talk. I hope they have another one soon. Have a book discussion – It’ll be interesting to see how I prove some of these things for my stamp. I have book discussions all the time. Show them your library card – I should have gotten this stamp while I was there. I always have it on me. Review a book – this is something I have been working on. Reviews are so important to authors these days. If you like a book, you should quickly head over to Amazon and Goodreads and let everyone know. and Gift a book – I’m always excited when I find a book that I think is just right for a friend or family member. Evelyn told me, as the only bookstore in town, she really wants to help local authors. She showed me a Free Books in return for review shelf at the front of the store that she hopes to fill with local authors. These are the books I took. Wedgie & Gizmo- This will be my “Gift a book” bingo square. I plan to give it to my niece and can picture her reading it to her little brother. I’ve already posted my review on Goodreads. The Fallen Star: The Nocturnals Book 3- Not a local author, but I’m hoping this will be a nice birthday gift for my niece. I better read and review it quickly as she’s an independence day baby. was on the shelf, I left it for another reader, for now, and grabbed the collection of short stories from Patrick Swenson‘s previous magazine. As a short story writer, I’m always looking for interesting short story collections. Another way that A Good Book is supporting local authors is by inviting local authors to sell their books in front of the shop during the Rhubarb Days weekend. 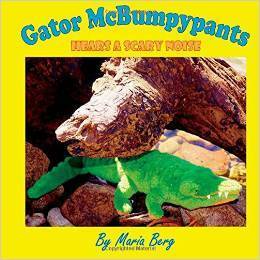 Evelyn offered me a spot on Sunday, July 16th and I am very excited to bring Gator McBumpypants to my local community. I’ll talk more about it soon. I want to thank Evelyn and A Good Book Bookstore for her time, great book recommendations and her work for local authors. I had no idea that trying to fill one square on my Summer Book Bingo Card could be such a great adventure. Goes to show how important independent bookstores are to a community. I hope this inspires you to venture to your local independent bookseller and ask for a recommendation. I would love to hear about your local bookstore and the latest book you bought there. I had a lot of fun with Seattle Summer Book Bingo last year, so I kept an eye out for it this year to get an earlier start. Are any of you enjoying a reading challenge this summer? I’ve chosen some of the books I’ll be reading and have already enjoyed a couple, but look forward to your suggestions as well. I have typed an exclamation point (!) before the square topics that I need suggestions for. I hope you’ll share your book knowledge and also join me in a summer reading challenge. The first square (top left) is Recomended by a librarian. I thought about calling out to librarians here and/ or twitter, but then I noticed the link on the Seattle Summer Book Bingo page to Your Next Five Books which turned out to be a form you fill out to get personalized recommendations from a librarian at the Seattle Public Library. Because I tend to haunt the King County Library System I checked to see if they have something similar, and they do!! Your Perfect BOOKMATCH. I filled out their form and sent it in. It said I will receive recommendations in five to seven business days. I look forward to letting you know what my local librarians pick for me. Have you used any book recommendation forms/services with your local library? You’ve been meaning to read – This book has been staring me in the face every time I open my online library account as the only book on my wishlist for a very long time. I’m not sure how or why it was there, but I’m excited to finally read Seeing Red by Lina Meruane.
! Young adult – Here I would appreciate suggestions. I have found my personalYoung adult selections to be very hit or miss. I would love to know some of your favorites. Biography or memoir – Here I think I’ll give another attempt to Women’s Diaries of the Westward Journey. I received it as a gift from a friend and keep putting it on to-read lists. Hopefully, this time, I’ll actually read it. Then I saw that Elmore Leonard’s Rum Punch: A Novel became Jackie Brown(1997) by director Quentin Tarantino and that piqued my interest as well. Graphic novel -This inspired me to read The Sandman Vol. 1: Preludes & Nocturnes (New Edition) by Neil Gaiman. I liked it, but I found each page to be incredibly busy. I ended up reading through and not savoring. It wasn’t what I expected from the hype. By an author of color – The Turner House by Angela Flournoy. I was on a long waiting list for this book at my local library, but when I returned a book the other day, it was right in the front on the recommended shelves. I guess the paperback had recently come out and I was waiting for the hardback. I snagged it and cancelled my hold.
! Recommended by an independent bookseller – for this one I’m planning on going to this great little bookstore in Sumner, Wa. called A Good Book. I went to one NaNoWriMo write-in (so far) and it was there. The proprietor was very nice; I look forward to seeing what she recommends. However, if you are an independent bookseller, I would really appreciate your recommendations as well. Set in another country – The Shadow of the Wind by Carlos Ruiz Zafon. I have been looking forward to this one for a while. It is set in Barcelona, Spain, though more specifically, The Cemetery of Forgotten Books.
! Genre that is new to you – Okay. This one’s tough. I believe I have read books from every genre. If anyone has suggestions, I will keep an open mind.
! Banned – I really enjoyed my choice for this category last year. I read Sherman Alexie’s The Absolutely True Diary of a Part-Time Indian. This year I found The Mask of Sanity by Jacob M. Appel. I picked it because Wikipedia reported that it was banned preemptively in Malaysia for blasphemy. However he has another book banned in Qatar for its portrayal on Islam, The Man Who Wouldn’t Stand Up Anyone read either of these? Which one do you think I should read? Other banned book suggestions? The Unreal and the Real: The Selected Short Stories of Ursula K. Le Guin and a non-fiction book of talks and essays The Wave in the Mind: Talks and Essays on the Writer, the Reader, and the Imagination by Ursula K. Le Guin. I’m not sure how all of them will fit into the BINGO card, but that’s why it’s nice there is a little wiggle-room. Published the year one of your parents was born – This category yielded an interesting result. Turns out Jorge Luis Borges published a surreal/fantasy collection called Ficciones the year my mother was born. I’m excited to “journey into a compelling, bizarre, and profoundly resonant realm”(Goodreads description).
! About art or an artist – I haven’t chosen anything for this yet. Suggestions? A SAL speaker (past or upcoming) – I started this summer’s BINGO with The Emperor of Water Clocks: Poems by Yusef Komunyakaa. He was a Seattle Arts and Lectures speaker on March 26th, 2009 (More at my poetry selection).
! Reread a book you read in school – I wasn’t too happy with this square. After talking it out with a friend, I came up with The Mouse and the Motorcycle by Beverly Cleary. I think this re-read might be good for me as a writer in that it might bring back some childhood memories, but I’m not fixed on this one. What would you re-read that you read in school? Finish in a day – I am known to finish more than one book in a day, so this is definitely a square I like for a book I read that doesn’t fit in a category. 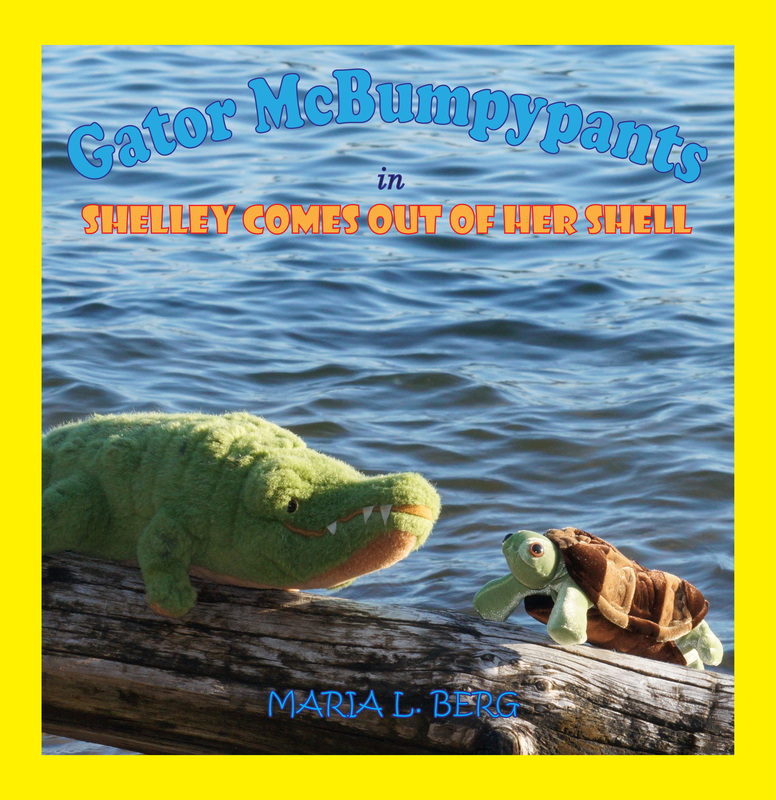 Washington state author – In April, I finally got around to reading Maria Semple:Where’d You Go, Bernadette: A Novel and Today Will Be Different but, they don’t count because Bingo didn’t start until May 17th. Luckily, I had some other Washington authors on my to read list. I plan to read Truth Like the Sun (Vintage Contemporaries) by Jim Lynch. I also put another Jim Lynch The Highest Tide: A Novel on my to-read list. Anyone have an opinion on which to read first? Which is better? Poetry – my poetry and my SAL speaker selections ended up being the same author, Yusef Komunyakaa. I randomly picked up The Emperor of Water Clocks: Poems from my local library because I liked the title and the cover. I enjoyed it, so I looked further into Yusef Komunyakaa. That is how I learned that he had been a Seattle Arts and Lectures speaker and that his book Neon Vernacular: New and Selected Poems (Wesleyan Poetry Series) had won the Pulitzer Prize for Poetry in 1994. I am reading it as my Poetry selection. Science non-fiction or science-fiction – At the moment I am reading a fiction short story collection The Unreal and the Real: The Selected Short Stories of Ursula K. Le Guin and a non-fiction book of talks and essays The Wave in the Mind: Talks and Essays on the Writer, the Reader, and the Imagination by Ursula K. Le Guin. One of these will most likely fill this square. LGBTQIA author or character – For this square of my Bingo card I found a book by E. Annie Proulx, the author of The Shipping News which won both the Pulitzer prize and The National Book Award (US). I enjoyed The Shipping News, so I have high hopes for this year’s selection, Accordion Crimes which explores the lives of immigrants through the changing ownership of a small green accordion.
! Recommended by a young person – I don’t have this one yet. I will probably ask my niece or my neighbor, but to any young persons reading this, please leave a recommendation in the comments. What constitutes a young person to the Seattle Public Library? I’m not sure, but since this Adult Summer Reading BINGO is for people over 15, I would guess people under 15 are considered young persons. There are so many great books on this list already and I can’t wait to see what you come up with! I look forward to hearing your thoughts on my selections and your suggestions to fill out my BINGO card. Keep checking in for updates when I get recommendations from my local librarian and independent bookstore owner.